When all of your body's inter-related systems—including your musculoskeletal, nervous and vascular systems—are in balance and functioning properly, your body possesses a remarkable knack for healing itself. This state is called homeostasis. 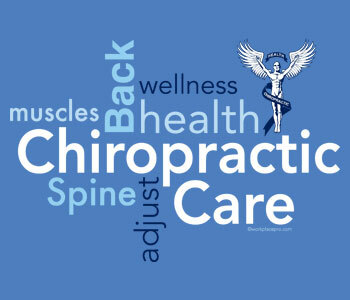 Chiropractors believe in a holistic approach to patient care by focusing on a patient's total wellness, or well being, instead of specific diseases, or ailments. It is this intricate physiological and biochemical interrelationship among various parts of your body—including its spinal, musculoskeletal, neurological, and vascular systems—that chiropractors dedicate themselves to exploring and treating, with special attention to nutrition, exercise, and healthy emotional and environmental relationships. When one or more of these systems is impaired, your body ceases to function normally and your resistance to disease is compromised. But the birth of the chiropractic profession was not to occur until the late-19th century—September 18, 1895, to be exact—in the small offices of the Palmer Cure & Infirmary in Davenport, Iowa. It was a revelation that capped what Palmer had long suspected—an indubitable connection between the spine and disease—that misalignment of the spinal column interferes with normal nerve function, and thus, leads to a host of maladies. Palmer suspected that if he were able to return the popped vertebrae in Lillard's back to its original position, it would also restore his hearing. Using a technique called the "spinous process," Palmer gently repositioned the vertebra with a firm thrust. In the ensuing months, Palmer treated flu, sciatica, migraine headaches, stomach complaints, epilepsy, and heart trouble with adjustments he called "hand treatments"—all without the use of drugs, medications, or surgery. In the 20th century, the chiropractic profession grew into a respected branch of the healing arts, largely through research and recognition by the government.